I got that new Campbell's cookbook which I had to try right away. My one recommendation is that if you have 3 or less people, cut the recipe in half. This is a lot of food. Bake for 20 minutes or until hot. Stir. Sprinkle cheese over mixture and bake for two more minutes or until the cheese melts. 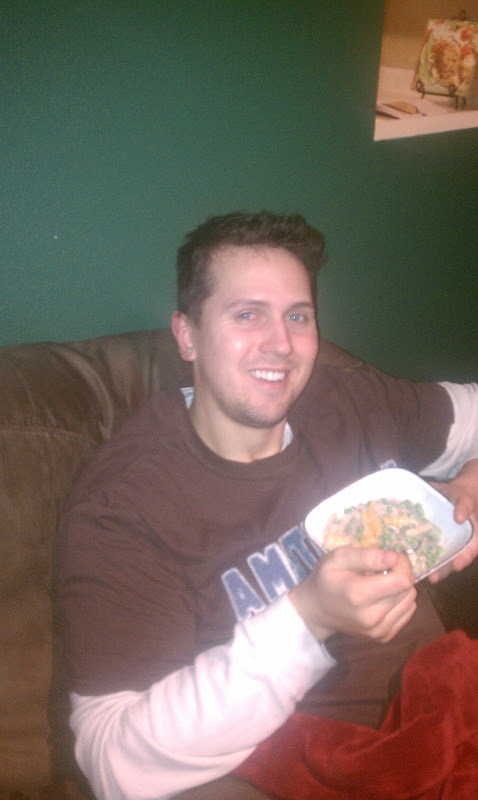 My handsome husband enjoying the fruits of my labor. Do you see why I need a new camera? 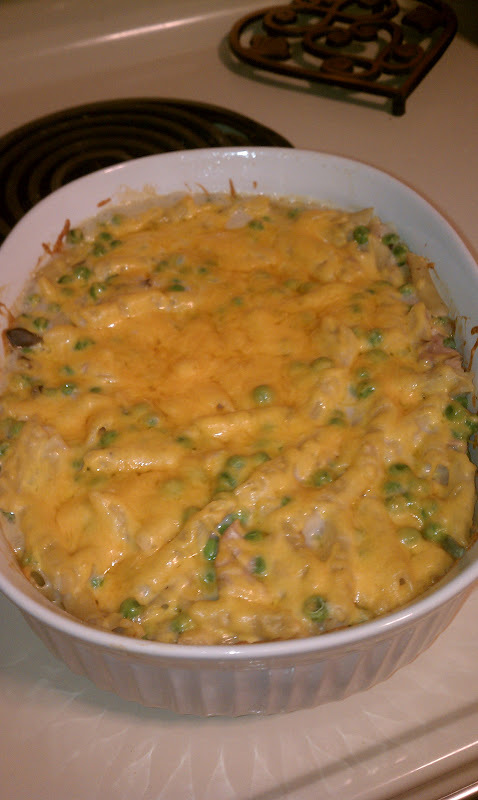 I love tuna casserole! I love cooking and trying new recipes. I will link up with you next week!! !